Marine Thomas Harrington died during operations at Normandy. Marine William Hobbins died during operations at Normandy. Marine Peter Holmes died during operations at Normandy. Read an article about his life written by his niece here: Mne P.L. HOLMES. Sergeant Francis Kerr died in Germany. Marine Frederick Kershaw died during operations at Normandy on D Day. 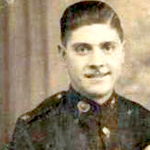 Marine Cyril King died during operations at Normandy. 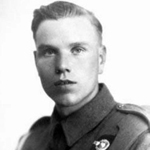 Corporal John Knott died during operations by the River Weser at Stolzenau. 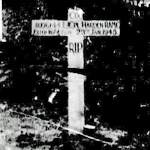 Marine Gordon Lay died during the period his Commando were engaged in operations at the River Aller in the vicinity of the village of Hademstorf. Marine Edward Lee died during operations at Normandy . Marine Leslie Lee died during operations at Normandy. Marine Thomas Lovett, 'A' troop, died during operations at Normandy. 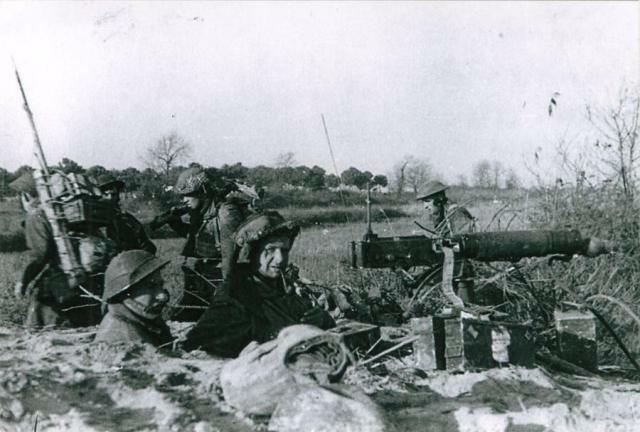 'A' troop on the 5th June 1944. 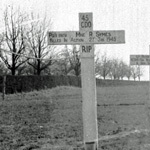 Marine Charles Lyon died during the period his Commando were engaged in operations in the vicinity of Brachterbeek and Montforterbeek, Holland. Marine Leonard Manley died during operations at Normandy. Marine John McFatter died during operations at Normandy. Marine Nathaniel McIntosh died during operations at Normandy. Marine Albert Mitchell died during operations at Normandy. 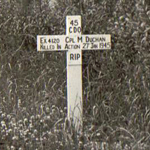 Corporal Douglas Money died during the period his Commando were engaged in operations in the vicinity of Wesel. Marine Alexander Mulhall died during operations at Normandy. 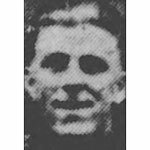 Marine William Murphy died during operations at Normandy on D Day. 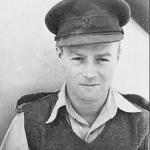 Corporal Leslie Myers died during operations at Normandy. Corporal Vincent Newman, 'E' Troop, died during operations at Breville, Normandy. 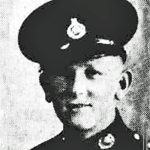 Sergeant Henry Nutter died during operations at Normandy. 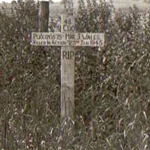 Marine William Pearce died during the period his Commando were engaged in operations at Stolzenau and Leese (River Wesser crossing). Lance Corporal Andrew Percival died during operations at Normandy. 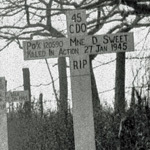 Marine Horace Plant died during operations at Normandy. Corporal David Reed died during operations at Normandy. Marine Robert Rolson died during operations at Normandy. Corporal John Ruston died during operations at Normandy. Lance Corporal Frederick Stallwood died during operations at Normandy. Marine Hugh Stapley died of wounds  inflicted during operations at Normandy. Marine Ronald Thomas died during operations at Normandy on D Day. 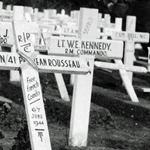 Marine Ernest Tonks died in the UK. Marine James Walker died during operations at Normandy. Marine James Walter Walker died during operations at Normandy. Marine Gilbert Watson died during operations at Normandy on D Day. 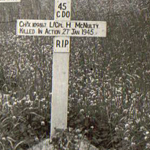 Corporal John Watson was killed during the operation to take the enemy held coastal resort of Franceville Plage which had been given the local codename of Piccadilly. Colour Segeant James Wharton died during the period his Commando were engaged in operations at Stolzenau and Leese (River Wesser crossing). Marine Frank Whitaker died during operations at Normandy on D Day. 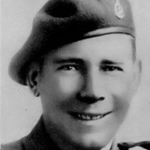 Captain Brian White, the Adjutant of the Commando since its formation, died during operations at Normandy. The book A Plain Russet-Coated Captain by Capt. John Day. Sergeant Ronald White died during operations at Normandy. 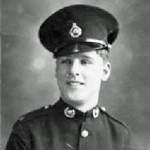 Marine Robert Whitney died of illness in the UK. 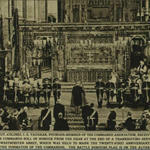 Image of headstone in gallery. 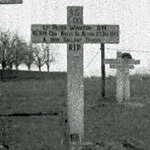 Marine Reginald Wilcox died during operations at Normandy. Rev. Williams died whilst serving with 45RM Commando . Marine Robert Williams died during operations at Normandy on D Day. 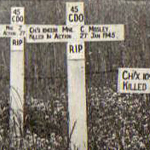 The circumstances of the death of Marine Sidney Wilson are not known to this archive. 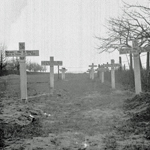 Sergeant William Wilson, 'E' Troop, died during operations at the village of Wangelau on the road from Lauenberg to Lubeck. After a short artillery barrage 'A' and 'E' Troops entered the village and took 130 prisoners. 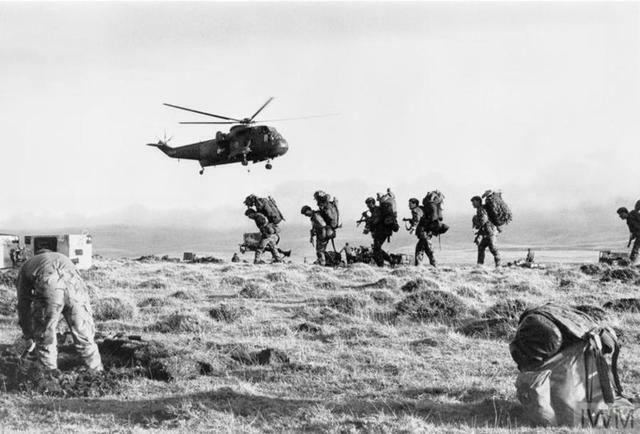 The only casualty was Sgt Wilson who was killed whilst assaulting a machine gun position. Marine Alfred Wright died during operations at Normandy.